Northeast of Harward home, now on land owned by the Bachmans. Near road on bay side. 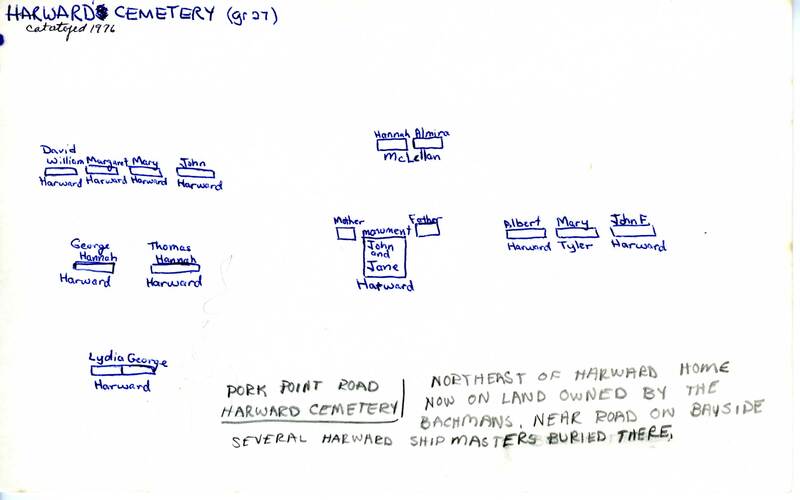 Several Harward shipmasters buried here.